This tonneau cover has an average rating based on 59 customer reviews.
" I have had the Lomax black aluminum cover on my 2018 F-150 for about14 months. It is a good looking high quality cover. I have not had a leak. My only suggestion to LOMAX would be to black powder coat or black anodize the aluminum rail clamps which hold the unit to the rim of the truck bed. This would be for appearance and appearance is the reason many of us selected LOMAX. " " Well-thought out construction and very easy to install. Do not pay anybody to do this for you if you have any mechanical skills at all. When you lay eyes on it, it screams high-quality! " " A great clean look that is easy to install and makes the truck bed dry and free of debris. Simple ideal design. " " Love my great looking cover! 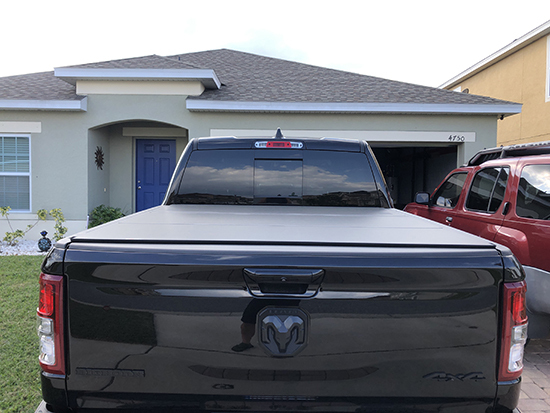 Easy install and works well on my 2019 Honda Ridgeline even with a small lost on truck lid opening! " " Great product!! Easy to install. Looks great because it has a leaner, cleaner profile. Most other hard covers have a rubber gasket that becomes unsightly after some time. This one doesn�t show its seal yet I took my truck through a car wash and immediately checked the bed liner and it was completely dry. Highly recommend. " " Very low profile design looks great on my F-150. 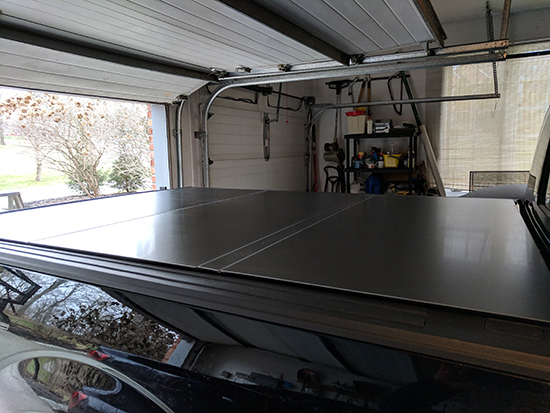 It was easy to install and does a superior job off securing the bed so I can use it for storing valuable equipment without fear of having it stolen from the parking lot. " " This tri-fold cover is awesome; low profile you have to look twice to see it. It was a breeze to install, took me around 20 minutes by myself. " " Very pleased with my purchase, fit finish, price was reasonable. Installation was a snap. " " Lo profile and water tight. Looks better than any other. Packed securely for delivery. No flaws or anything to worry about. Delivery was faster than expected. Would buy again. " " Awesome customer service. I had an issue with the cover due to the shipping service but ACI took care of it without the hassle of sending pictures, returning it, etc... They just took great care of me. Best customer service I have encountered anywhere! "